Teesside Airport. That was the problem. Britain's least used railway station. Eight visitors in one year. Two trains a week, one going east, one going west, both on a Sunday morning. There was no way to get there from Liverpool in time. Even if I got the first train out of Lime Street, it'd be lunchtime before I reached the East Coast. Teesside Airport would remain uncollected. The only solution was to stay in that general area the night before, so that I was in the right place to get the train Sunday morning. An expensive way to collect one station. I decided I'd have to make a trip of it and get a few more while I was there. Luckily, there was a tranche of stations in the Middlesbrough area I still hadn't visited. I could get all of those as well, stay in a cheap hotel, and use a Day Ranger to keep my costs down. Then I did some more adding up, some more entries on my spreadsheet. 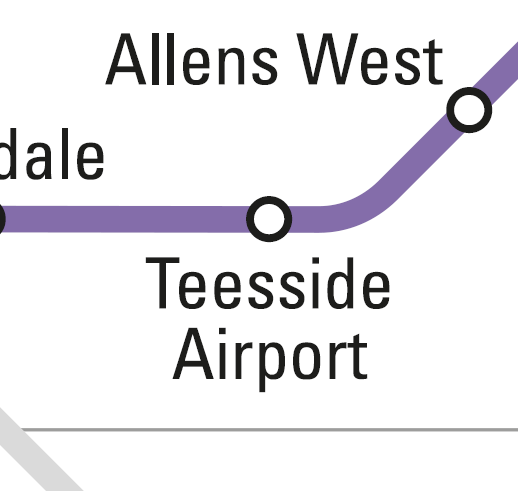 Teesside Airport was one of the most difficult stations to reach, but that didn't mean it was the only hard one to get to. Wetheral, for example, on the Hadrian's Wall line. It takes two hours and two trains just to get to Carlisle from Liverpool; then there's an irregular service, and the fact that Wetheral is miles from any other station, and I've basically have had to spend a whole day travelling just to collect that one blip on the map. Was it worth it? That's astonishingly good value. You can travel from Preston to Newcastle, from Carlisle to Hull. Leeds is in there, and so are York, Halifax, Scarborough. The whole of the Settle and Carlisle Line is included, as is the Cumbrian Coast Line. For ninety pounds. It's not that I'm cheap. Ok, it is a bit. But mainly it was too good an opportunity to turn down. I'd spend a couple of days on the Hadrian's Wall Line, then a couple of days on the Bishop Line between Saltburn and Darlington. I'd clean up giant swathes of the map; I'd visit charming country tea rooms, embarrassingly racist pubs, faded seaside towns. I'd travel along some of the oldest railway lines in the world, and collect one of the newest stations in Britain. I'd even get Northern Rail to stop a train at a station just for me. Will you be visiting Penrith whilst in that area? You could find out once and for all for your loyal followers if the sign in the pic I have put in the link for my name actually exists.